Whether you are a company of 1 or 1000 users, HEALTH Storylines creator™ is designed to grow with you – providing the features and flexibility you need at every stage. There are certain activities that patients regularly do to maintain their health. Some of these are tracking or getting medication reminders, regularly recording symptoms, understanding their moods and feelings and recording vital signs. 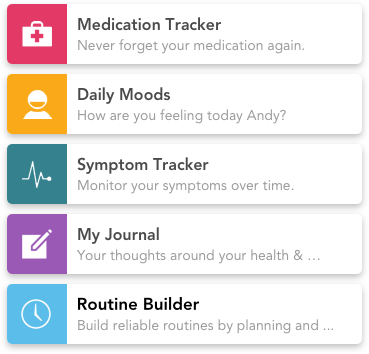 These core health tools enable patients and caregivers to be on top of their health. Each patient's experience with an illness is unique. It depends on their disease, their care and treatment plan that's unique to each of their patients. A physician or a clinical trialist have different clinical goals for their patients and Provider Storylines™ enable users to customize and create health tools that are appropriate to the health condition of patients. Health Storylines Creator™ grants you access to your patients data, provided that they are given consent by patients, to monitor relevant patient information, data and intelligence that will ultimately benefit patient care. Enterprise, Health Systems, Pharma companies may use our platform for custom patient research activities. tHE MOST POWERFUL PLATFORM TO COLLECT REAL WORLD EVIDENCE, UNDERSTAND & IMPACT PATIENT BEHAVIOR AND OUTCOMES.